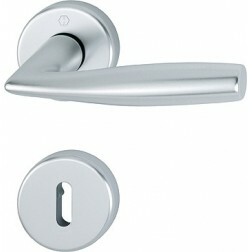 Interior door handle in stainless steel Hoppe Paris series on round rose. 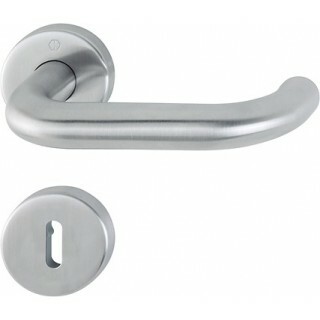 Fully stainless steel door handle for extra safety. Quick-Fit connection provided for a quick and easy hooking without use of special equipment. Door Handle with hygiene regulations into compliance with antibacterial layer nominated by Hoppe: Secusan. Description price includes up to a complete couple with mounting accessories, all packed and boxed.